Federal investigators are trying to determine whether recent attacks on the fiber optic systems in California are tied to a “more complex plot” against the Super Bowl in the San Francisco area. Internal memos between the FBI and Homeland Security show that intelligence analysts are worried about a series of unsolved incidents in which fiber optic cables were deliberately severed in the Bay Area, NBC reports. 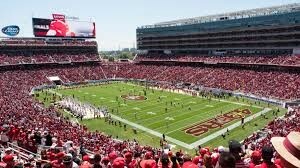 The memo detailed risks that include the fiber optic system, drones and attacks in crowded areas outside of Levi’s Stadium. Between July 2014 and June 2014, at least 10 fiber optic cables were deliberately severed in areas relatively close to the stadium. Posted: 1/19/16 at 8:45 AM under News Story.